Fold simple origami projects and learn about Asian culture with this step-by-step easy origami book.Origami, the Japanese art of folding paper, is not just a great craft activity-it's an exciting way to expand your imagination. 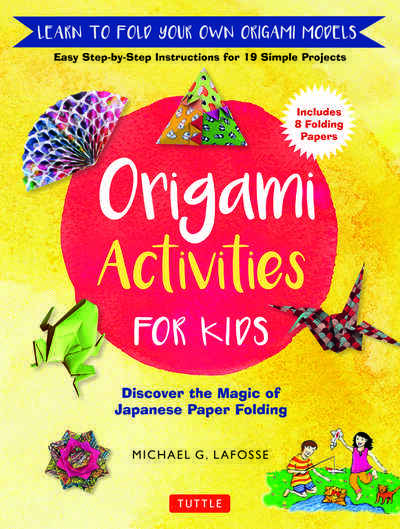 Children will have many hours of fun folding the simple origami projects in this book and learning about the surprising art of paper folding. This book has been revised and reformatted and is geared specifically to 8-12 year olds as an introduction to Japanese culture and crafts.What makes this book original is that each paper model explores a different aspect of Asian culture and includes an explanation of the cultural context for the project. The designs are all very straightforward and are great fun for beginning folders. Origami projects include: Lotus Flower Japanese Fan Chopstick Wrapper Dollar-Bill Dragon Chinese Zodiac Traditional Crane Japanese Daruma Doll And many more...Learning how to fold two-dimensional paper squares into three-dimensional objects is not only fun but helps develop hand-eye coordination and spatial skills by engaging a child's whole brain. Each paper model explores an important aspects of Asian culture-creating an appreciation and awareness of cultural differences in children.